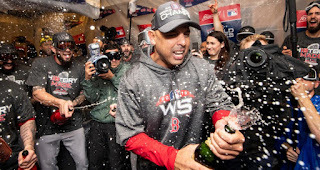 Even though Jerry Remy and Dennis Eckersley scoffed at the notion, 56 percent of the voters said that the World Series hangover is real. That begs the bigger question. What in the heck are the other 44 percent watching? They couldn’t be watching the ghost of the Boston Red Sox that have been on display in Seattle, Oakland, Phoenix and now Boston. Hell yes, the World Series hangover is real. Right now, the Red Sox are playing with the passion of Rocky Balboa in the first part of Rocky III. Through spring training and the first 12 games of the season, it is as if the defending World Series champions think it is enough to just show up. While their opponents are working out like a hungry Clubber Lang, the Red Sox are smiling for the camera before making halfhearted jabs at the punching bag. How else can you explain Chris Sale throwing seven innings in spring training? Yes, seven flippin’ innings. 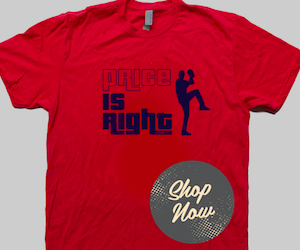 No wonder the supposed Red Sox ace is pitching like a poor-man’s Jamie Moyer. Sale, though, is not alone. Not one member of the Red Sox vaunted rotation appears to be ready for the season. Neither do many of the position players. The way the Red Sox have played, it looks like the advanced scouts are still out celebrating the 2018 World Series title, too. Even Mookie Betts — yes, the great Mookie Betts — is a shell of himself. While the reigning American League MVP hit home runs in this last two starts, it is clear that this isn’t the same Mookie we’ve seen in the past. Forget that he has made some mental errors in right field. Look back at the final out of the home opener. With the tying runs on base, Betts looked at a 94 mph fastball down Broadway and a cement mixer on the inside corner. Those were two pitches the Mookie we have come to know and love would have hammered to the Mass Pike in the past. He just looked at them before going down with a weak wave at a breaking pitch down and away to end the game. Then he headed to the dugout like J.D. Drew. The maddening part of this disastrous start is that the Red Sox are almost completely intact from last year. This is not 2005 when we watched a large portion of our Idiot heroes leave in the offseason. They are also extremely likeable players who are making us pull our hair out and scream at our televisions. Those players make up what is one of the top few rosters in all of baseball. The Red Sox entered the season with their only possible weakness being the bullpen after losing Joe Kelly and Craig Kimbrel. That weakness is now their strength. Their weakness is everything else. 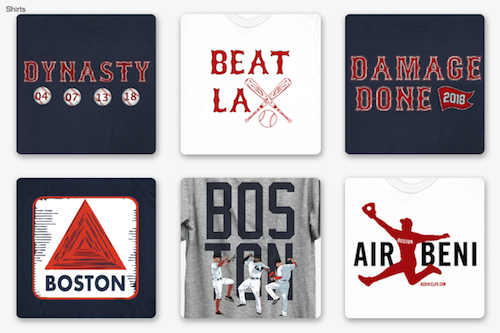 These Red Sox have the talent to at least compete for a repeat title. Sure, we can’t expect them to win 108 games again. We can’t expect them to start at 17-2, either. That was an anomaly. But a 6-6 start would have been nice. With the guys they have in the rotation and on the field, the Red Sox on paper are a complete team. They are a proven championship team. They don’t need a trade or a promotion from the minors to turn things around. They need a race on the beach with Apollo Creed. Baseball isn’t a game where you can play better by trying harder. Unlike other sports, trying too hard can actually hurt you. But the Red Sox need to turn things around fast. You cannot win a title in April, but you sure as heck can lose one. Right now, we are at the part in the movie when Creed is yelling "There is no tomorrow! There is no tomorrow! There is no tomorrow!" If the Red Sox don’t find the “eye of the tiger” sometime soon, it could be too late. Instead of looking like Rocky in the first part of Rocky III, the hungover Sox will look more like Apollo at the beginning of Rocky IV.